Why Choose Winawood / Composite? 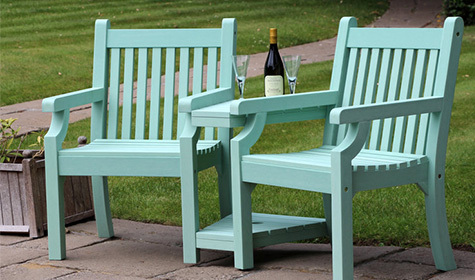 A stylish garden bench with no maintenance required. The Winawood™ range is perfect for those looking for the look and feel of a wooden bench, without any of the chores associated with it. 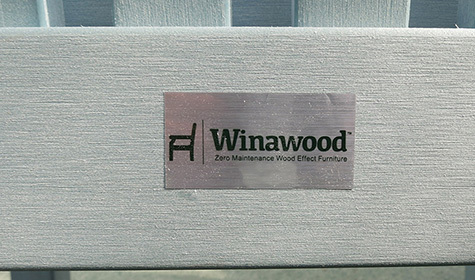 Winawood™ can be left outside all year round without a cover, requiring no tiresome oiling. That’s right, no more teak oil! 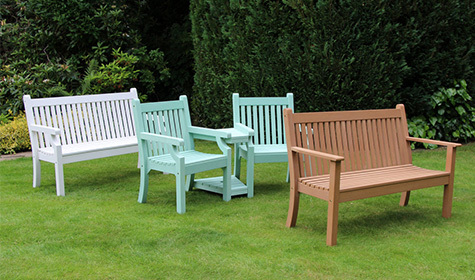 It comes with a 2 year guarantee against weather defects, and comes in a range of colours and sizes to suit any taste. What is Winawood™ made from? Winawood™ is made from a compressed polymer of plastics, put under immense pressure to form a dense material that looks and feels like wood. The colour runs through the entire material, meaning defects in colour are non-existent, and allowing you to sand it to remove any marks or stains that occur. The compression process creates a grain effect within the material, which makes it feel like the natural layers of wood. 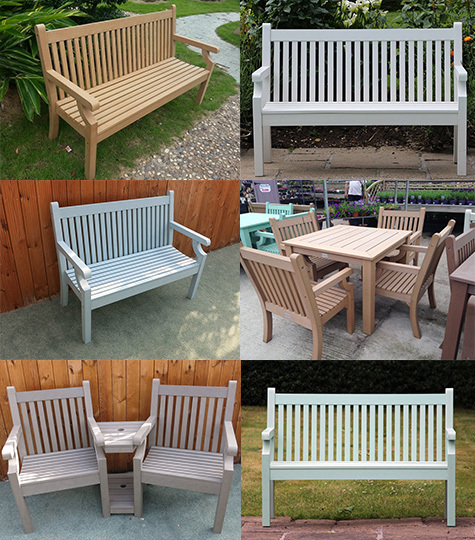 To purchase a Winawood™ bench online, visit our online store.